Semi-autonomous in-car tech is going down a storm in Europe with voice control, automatic breaking and cruise control proving incredibly popular. The Ford Car Buying Trends 2015 report found that car driving across the continent is being increasingly shaped by people wanting more autonomy at the wheel and it points to fully autonomous, self-driving cars becoming wildly popular. Ford's Active City Stop is an automatic breaking system that aims to reduce drivers rear-ending the car in front and the system has been fitted to 13% of Ford's vehicles in Europe, up from 7% the year before. It is proving particularly popular in Sweden, Norway and Switzerland. Another innovation that is sought-after by continental drivers is the Adaptive Cruise Control system that allows drivers to automatically maintain a set distance from the car in front even if it's travelling at a slower speed. Whilst individual figures on different types of cruise control aren't given by the research, some technology of this ilk is present in over half of all new Ford cars. 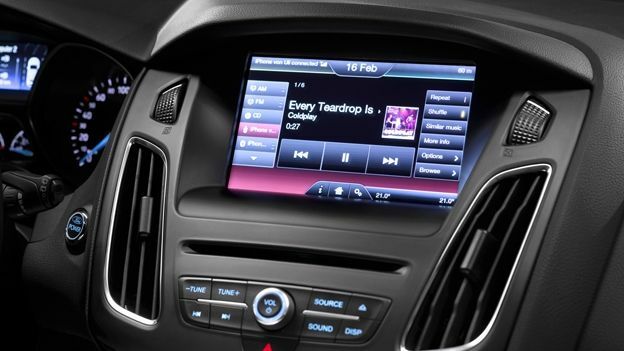 On the entertainment and communication side of things, Ford Sync is now present in 78% of all Ford vehicles (68% in 2013) and shows the considerable thirst to be able to stay in touch safely whilst behind the wheel. Ford is among a clutch of companies at the forefront of developing autonomous driving technologies and to that end a fleet of completely autonomous Ford Fusion Hybrid research vehicles is undergoing testing in the US.